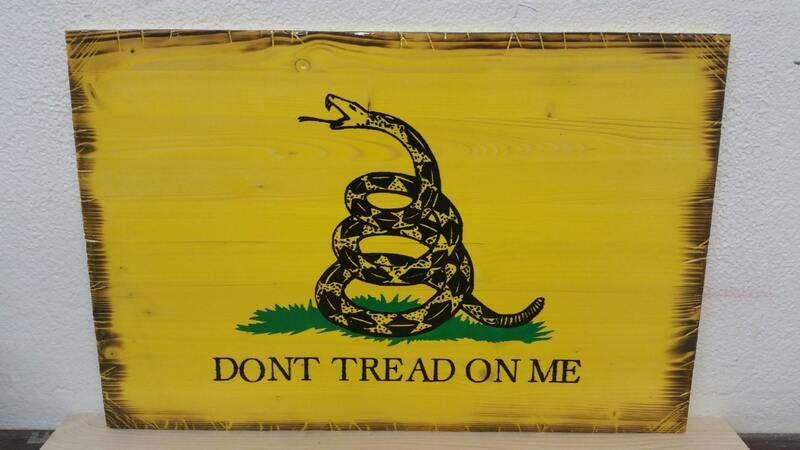 The Gadsden Flag. This came out beautifully. It is on a brand new 16"x24" piece of wood that is distressed to give a rustic look. It is then stained yellow and painted. It includes an interior gloss finish and metal d-rings on the back for easy hanging.